You may have heard that HarperCollins is reissuing all of Agatha Christie’s books exclusively. 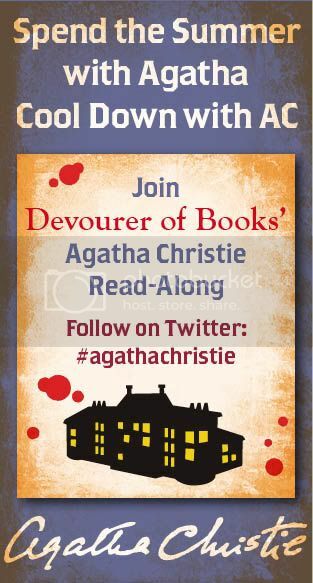 To celebrate, they have enlisted my help, along with Book Club Girl and three other bloggers to host an Agatha Christie Summer Readalong Extravaganza called “Cool Down With Agatha Christie,” which will be taking place this June, July, and August. all of the Christie mysteries including the Hercule Poirot Mysteries, the Miss Marple Mysteries, and the Tommy and Tuppence Mysteries (Winter 2012). And don’t miss a single one of Christie’s stand-alone novels and short stories. I will have five copies of each to give away to people who plan to participate, as well as one mystery prize to be given away to a participant in each discussion. If you are planning to participate in my first readalong for Endless Night, please leave your name in the Google form below. I will choose five people who have signed up at random to receive copies of the book from HarperCollins. Please sign up by 11:59 pm Central on Friday, June 3. Winners will be notified over the weekend. Having a blog is NOT a requirement. This is going to be a lot of fun. You’ve got some good ones to be hosting. I’m looking forward to participating as much as I can. I really have always wanted to read “And Then There Were None”. I hope I can make that happen! I’m exaggerating when I say I’m thrilled. I was planning on doing an Agatha read-a-thon this summer. I don’t know how many of her stand-a-lones I’ve read even though I’ve always meant to get to them. I always think I’ve read all her stuff but I know I haven’t because there’s just so much. This is going to be fun. I won’t be able to do the read along but And Then There Were None is on my TBR pile for June. I Can Not Wait to get to And Then There Were None again. This sounds like such fun! I read many of Agatha Christies books years ago and have been thinking about reading ones I haven’t or rereading some of the ones I loved. And I’ve been watching Masterpiece Mysteries series of Hercule Poirot and Miss Marple mysteries, too, on Netflix so all of these readalong and movie watching events are terrific! I cannot wait to reread these books! Hi Jen, thanks for organizing this, I have not read anything by A.C for ages, so I thought that was a nice way to get back to her. I’m going to try Endless Night. I have a copy of the new And Then There Were None sitting on my TBR pile, so I’ll plan to participate in that readalong. We would love to have you join us for discussion of any the books. The last book will be given away during the discussion of AND THEN THERE WERE NONE. Okay I signed up (I accidentally entered the form too I just saw it was until June 3rd oops) I’ll get Endless Night from library Excited! I am into the fourth chapter of Endless Night. So far I really like it. Gypsy curses and spooky houses are just my thing. I actually found a copy of And Then There were None and Ordeal by Innocence so I definitely want to participate! There was a separate signup when we discussed THE PALE HORSE to sign up for AND THEN THERE WERE NONE. It is too late to sign up for a complimentary copy, but you do not have to sign up in order to participate! On Monday morning the top post on this blog will be our discussion of AND THEN THERE WERE NONE and all are welcome to participate. The second post down will be to sign up for the ORDEAL BY INNOCENCE readalong. 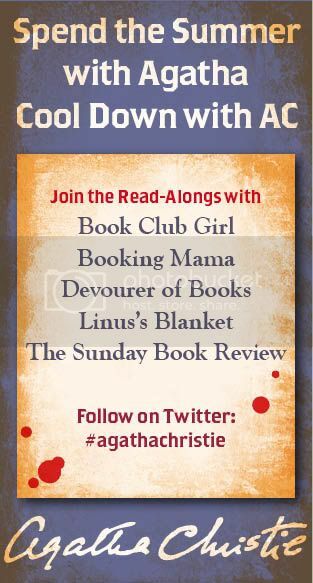 The Sunday Book Review » The Agatha Christie Read-Along!